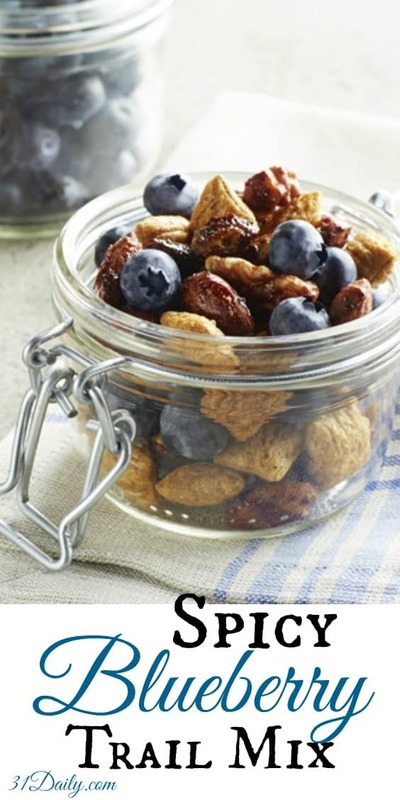 A perfect take along snack, Spicy Blueberry Trail Mix, is a healthy choice, will keep you feeling full, and is filled with fiber and antioxidants. 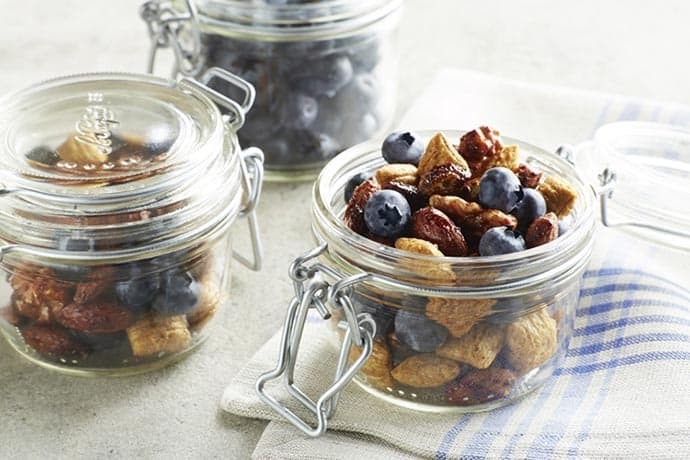 Adding fresh Driscoll’s blueberries to this homemade trail mix makes it just the right combination of flavors and textures not to mention boosting its nutritional stats. Make the trail mix base ahead of time then add berries when serving. Transfer baked nut mixture to a large bowl. Add cereal and toss to combine. 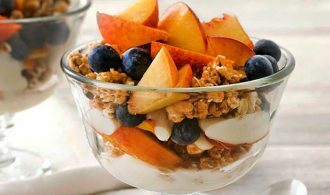 To serve, combine 1/4 cup nut mixture with 1/4 cup fresh blueberries.